February is “Love Your Library” Month, and there’s plenty to love at CPL! Jane Austen fans will want to check out the “For the Love of Austen” events scheduled all month long, and we’re celebrating the Chinese New Year this month, too. Happy Year of the Pig! Join us for a dramatic reading of Darcy and Elizabeth presented by; the Cheshire Community Theatre. Elizabeth Bennett and Fitzwilliam Darcy take center stage in this one-act version of Jane Austen’s beloved romance. Registration is appreciated. One of the many joys of the Valentine season is sending cheerful cards to the ones you love. Join France Angle and create beautiful Valentine Cards using rubber stamps, ink and Stampin’Up products. Space is limited and registration is required. Tai Chi Instructor Kathy Brenner will lead six weekly sessions of Tai Chi and Qigong, on Tuesdays, February 5 through March 12. Join her in an easy to follow series of low impact and aerobic exercises, (please wear comfortable, loose fitting clothing). Space is limited and registration is required. Register online or call 203-272-2245, x4. Join us for a celebration of the Chinese New Year featuring an acrobatic performanace by Li Liu, mask-making, a dragon parade and more! Pizza and drinks will be available for purchase. There is no admission fee, but donations to the Friends of the Library are appreciated and help defray the cost of these special events. Please note that the Lower and Upper Levels of the Library will not be open to the public. Please register so that we know how many goodies to have! For more than three decades, the New World Trio, featuring Anhared Stowe on violin, Peter Zay on cello and Pi-Hsun Shih on piano, has brought the excitement and intimacy of chamber music to live audiences throughout New England. Today’s program, “The Influence of a Woman”, will feature Tchaikovsky’s Trio in A Minor op.50 and Debussy’s the Premier Trio in G Major and highlights the influence of Nadezhda von Meck on both composers. Professor Rebecca Adams will discuss Jane Austen and the ideals of Romance. Learn the expectations for women during Jane Austen’s life, as well as a description of Jane Austen’s life and the real life characters who inspired some of her more famous characters (Mr. Darcy and Mr. Collins). Registration is required. Zentangle Method is an easy-to-learn, relaxing and fun way to create beautiful images by drawing structured patterns. Each patron will learn the Zentangle method and leave with one landscape artwork. Registration required for this adult program. Tea is an important aspect of Chinese tradition. Join Vivian Huang and learn about the different types of tea, find out why tea become an essential part of Chinese culture and learn to write “Tea” in Chinese calligraphy. Registration is required. Silk’n Sounds is greater New Haven’s premier auditioned women’s a cappella chorus. Dedicated to excellence in the performance of four-part harmony in the American barbershop tradition and in other musical traditions, he chorus performs a broad repertoire of songs in traditional and contemporary musical styles. Do you love to watch Jane Austen Movies and the lavish balls? Have you ever said to yourself; I would love to learn how to dance like that? This is your chance to learn! One night and one night only join us for fun evening of dance. Come dressed up if you so choose and please bring good shoes to dance. Space is limited for this adult program and registration is required. Join us as we learn about the world in which Austen grew up, mainly rural England. With the aid of beautiful slides, including many of paintings of the time, Patricia Carr will help us enter that world and learn a little more about what life was like for the country gentry. Registration is required. Now that we’ve got your attention, we should explain that our Matinee Movies this month all have the word “Dirty” in the title. Disappointed? Relieved? Come by every Tuesday at 1:00 for some good, (mostly)clean fun! No registration Required. The extraordinary true story of the amazing and unlikely friendship between Queen Victoria (Judi Dench) and a young clerk, Abdul Karim (Ali Fazal), who becomes her teacher, her spiritual advisor, and her devoted friend. Based on the book of same name by Shrabani Basu. Please register for this event. Konnichiwa, minna-san! Can’t get enough Anime and Manga? Be an “Otaku” and join the Cheshire Anime Club! We meet monthly, read and talk about what’s hot in the world of Manga, and watch some of the latest Anime releases on the big screen! Japanese snacks (like Ramune and Pocky) will be available for refreshments. For grades 7 -12, no registration required. It’s Mardi Gras and time to party with River City Slim and The Zydeco Hogs, who bring the exuberant sounds of the steamy bayous of southwestern Louisiana to the hills of New England. Whatever you do, don’t forget your dancing shoes! Cheshire is Slim’s old hometown so be prepared to give him a big Cheshire welcome! This concert is Paid for by the Friends of the Library and free to the public, no registration required. Come by yourself or bring your sweetheart for a Valentine’s Day Trivia Night. Test your knowledge from general categories, including pop culture, current events, history, music, and of course literature! It’s all For Pride, Not Prize. Registration for this adult program begins January 31. Using Queen Victoria’s diary and letters, this program reveals the personal details of a powerful yet humane woman, who took seriously her role as monarch in a time of great expansion. Sally Mummey’s portrayal as the queen is one not to miss! Registration is required. Celebrate the first day of Chinese New Year with a special storytime! We’ll sing simple songs, learn rhymes, and read books in Chinese and English, and complete a craft as well. For children ages 2-5 and their caregivers. Registration required starting January 15 for Cheshire residents, and February 1 for nonresidents. A fun night crafting and upcycling books into beautiful candle holders. Registration required for this adult program. Join us for a fun evening, as we learn about the Queen and the men in her life. From her infatuation with the Duke of Brunswick, through Uncle Leopold, her Prime Minister Lord Melbourne, Albert, then the dreaded John Brown, Prime Minister Benjamin Disraeli, and finally the Munshi, her Indian secretary. Registration is required. A variety of rice named Carolina Gold was the first food product that America exported to Europe, and helped the coastal colonies achieve economic independence. Learn the legend of how this rice came to America, how West African ingenuity helped it thrive and become a local and international delicacy, and how it was almost lost forever before being revived by amateur enthusiasts in the past few years. Registration is required. What’s Happening at Cheshire Library in February? Do you need help with your job search, your resume, or interviewing techniques? JobNow, powered by Brainfuse, provides live interactive online help combined with online resources to guide you through the necessary tasks to get a job, and is available free to CPL cardholders. No registration required for this workshop. De-stress your busy life with a relaxing night of coloring. We’ll provide coloring pages and supplies, but feel free to bring your own pages and art supplies! The Cheshire Public Library would like to invite you to participate in our Preschool Fair on Saturday, February 4. In the event of bad weather, the snow date will be March 4th. This program will allow you to meet and ask questions with preschools in the Cheshire area. Our objective is to provide you support by offering a one-stop-shop to community preschools in order to navigate through endless information regarding school facilities, personnel, and educational philosophies. No registration required. Celebrate the end of Chinese New Year with acrobat Li Liu! For all ages, no registration required. Talented folk duo Andy & Judy Daigle blend popular folk covers with their growing list of original songs. he New England natives have been singing together since 2009, first performing at open mic nights where they featured cover versions of songs written by favorites John Prine, Bob Dylan, Ian and Sylvia, and Peter, Paul & Mary. This concert is free and open to the public, no registration required. School-age kids in grades K-2 are invited to Awesome Jr. for fun with science, technology, engineering, art, and math. We’ll read stories, conduct experiments, play with apps, and make works of art. Today we’re going to make edible architecture out of frosting, graham crackers, pretzels, and other yummy building materials. Registration is required. Are you looking to give back to your community? Fulfill a community service requirement? Have fun? Consider becoming a member of the Cheshire Council of Advisory Teens (Cheshire CATs). Just what IS Cheshire CATS you ask? It’s a group of dedicated teens who are interested in making a difference at the Cheshire Public Library. Members will play a critical role in developing the library’s young adult collection, young adult outreach, event planning and marketing, and making the library a friendlier place for young adults. Members will meet monthly, earn community service credit and will have a direct impact on teen life at the library. No registration required, join us! Escape from the clutches of winter at our Tropical Paradise Paint Night…come dressed in your favorite summer outfit and be transported to a scene by the sea, where all of your thoughts drift into hues of summer. No experience necessary, only a desire for fun and relaxation. We will explore basic techniques to create your masterpiece. Registration required for this adult program. Join us for the coolest storytime around! We’ll read some of our favorite Pete the Cat books, do lots of singing and dancing, and make our own musical instruments. Pete the Cat himself will be dropping by for hugs, high-fives, and photos. It’s all good! For children of all ages and their families. Registration is required. Angela Dimmitt who will help us identify birds that you might typically see at your bird feeders and discuss which type of feeders and feed will attract particular birds. She is a member of Litchfield Hills Audubon Society, the Western Connecticut Bird Club and the Connecticut Ornithological Association. Registration is required. Have you been wondering what Zumba is and if it’s right for you? Zumba is a popular dance based fitness program inspired by Latin music and dance. It’s Different, it’s Fun, it’s Effective and it’s Easy to do! Come and experience Zumba!! This Zumba demonstration for adults presented by Donna Paventy-certified Zumba instructor from the Cheshire Community YMCA. Registration is required. Join us to learn the basic computer skills including the different parts of a computer, how to use a mouse and keyboard, how to turn the computer on and off properly and how to navigate the desktop. This class is for individuals with little to no experience with computers. Registration is required. The Cheshire Public Library is pleased to welcome Pumpernickel Puppets this year for the 5th annual Take Your Child to the Library Day. 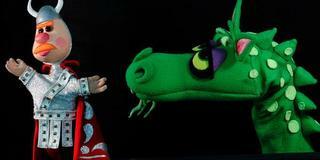 Join an adventurous princess as she journeys to Mystery Mountain to visit the Great Green Dragon. Along the way you’ll meet Zelda the babysitter, a silly bat, Sir George and his clumsy dog, and of course the lovable dragon. Will Sir George slay the dragon? Not to worry, everything ends happily in this fun show. Ages 3 and up, no registration required. 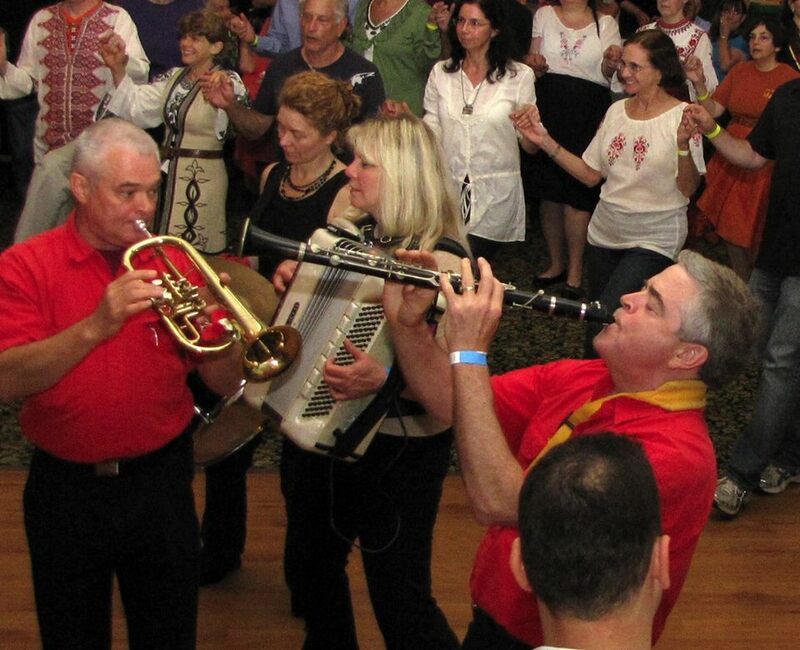 Exciting and joyful music that celebrates the culture of the Balkans. Local resident Drew Harris is a member of this popular band! This concert is free and open to the public, no registration required. 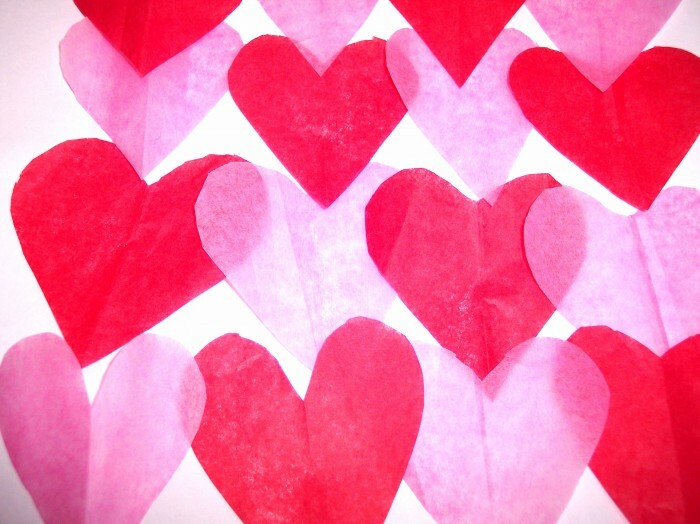 Come read with the Future Educators of America from Dodd Middle School for a special Valentine’s Day Storytime. Please register online or call the library at (203) 272-2245. Come and enjoy a Valentine celebration of chocolate, love, and friendship! 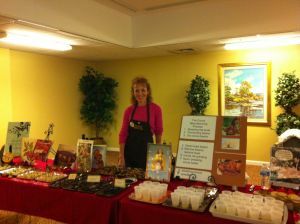 Kim Larkin is the owner and chocolatier of a commercially licensed chocolate company located in Connecticut, Klassic Kreations Gourmet. This fun, educational workshop covers interesting topics such as new chocolate trends, the various types of chocolate, the history and health benefits of chococate, and highlights friends and lovers throughout history. Free samples are available to all! Seating is limited, please register online or call the library at (203) 272-2245. Enjoy a short performance followed by a fun hourlong lesson in the vibrant, high-energy style of Bhangra, a traditional folk dance performed in the Punjab region of South Asia with modern influences from modern pop and hip-hop styles. 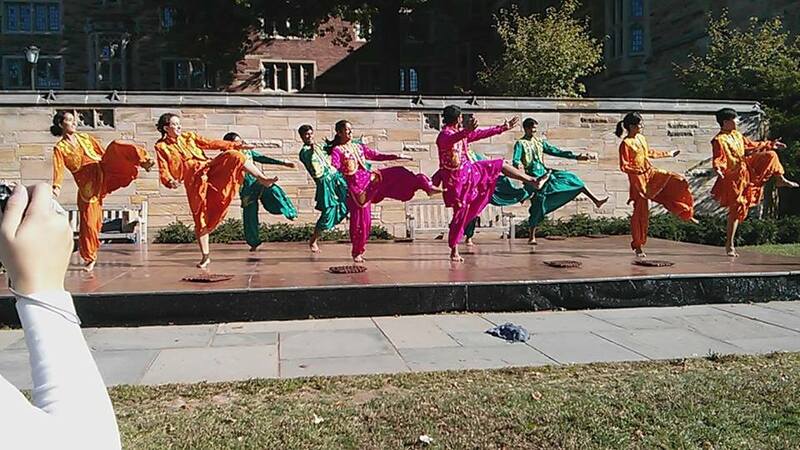 Performance and lesson provided by Yale Jashan Bhangra. Part of our South Asian Cultural Festival. Lesson: ages 6 – adult. Performance: all ages. No registration required. 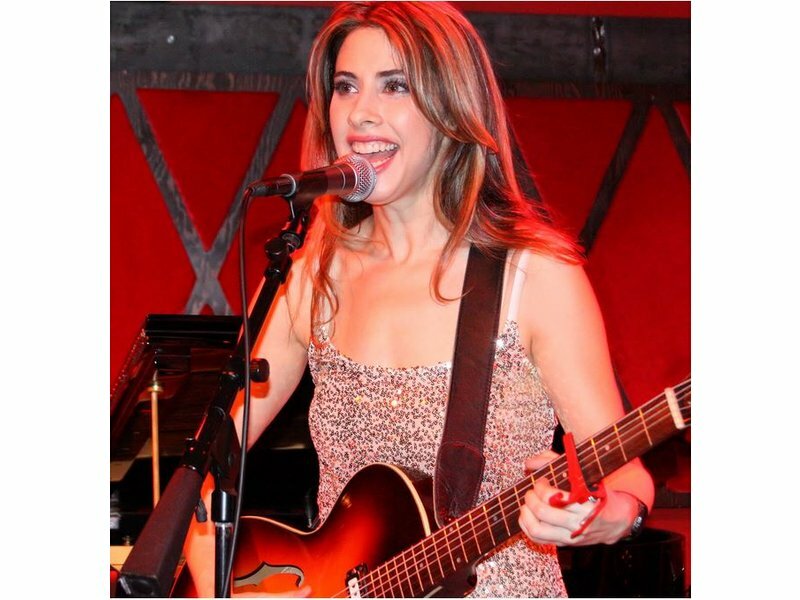 Acclaimed singer-songwriter Sheri Miller writes and performs her soulful, Beatles-inspired love songs, while accompanying herself on guitar and piano. She also sings a wide range of popular, classic, love song favorites for families, children, and all ages, including The Beatles, Jackson 5, Louis Armstrong and Johnny Cash, among others. This concert is free and open to the public, no registration required. Crafting ideas are endless with stamps from cards, fabric, scrapbooking etc. 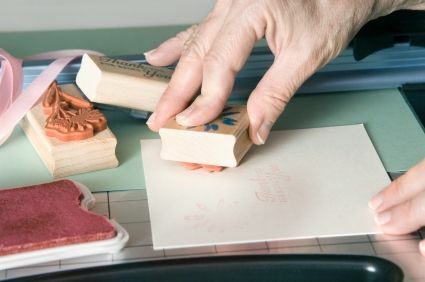 Bring your crafty ideas, we will provide the stamps, ink and paper. You may bring your own items to stamp. Please register for this adult program early as space is limited, online or call 203-272-2245, ext. 4. Ashley Turney has spent 25 years living, studying and working in the place that she calls her second home. 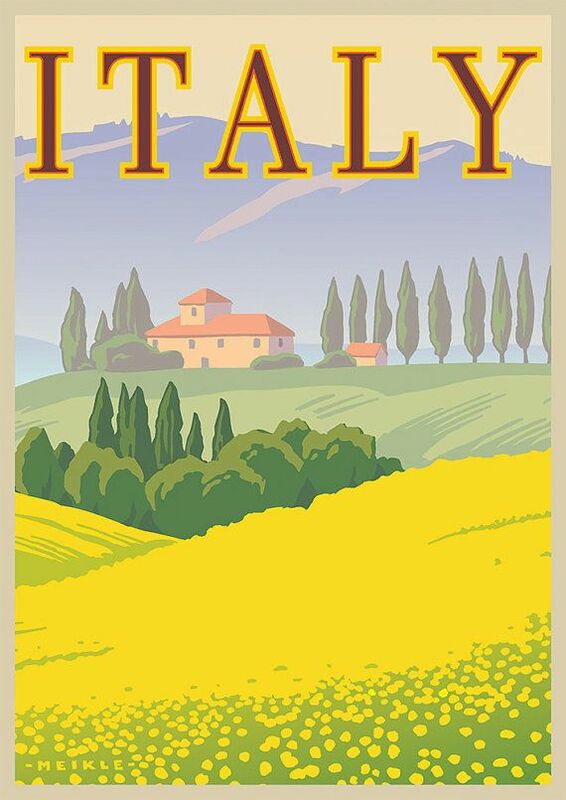 Italy’s 20 regions are each unique in customs, language and cuisine making this small country a true mosaic of cultures. We will explore the regional differences from an eager traveler’s perspective in a slide presentation which takes us on a colorful journey from north to south and even to the islands of Sardinia and Sicily. Please register online or call the library at (203) 272-2245. 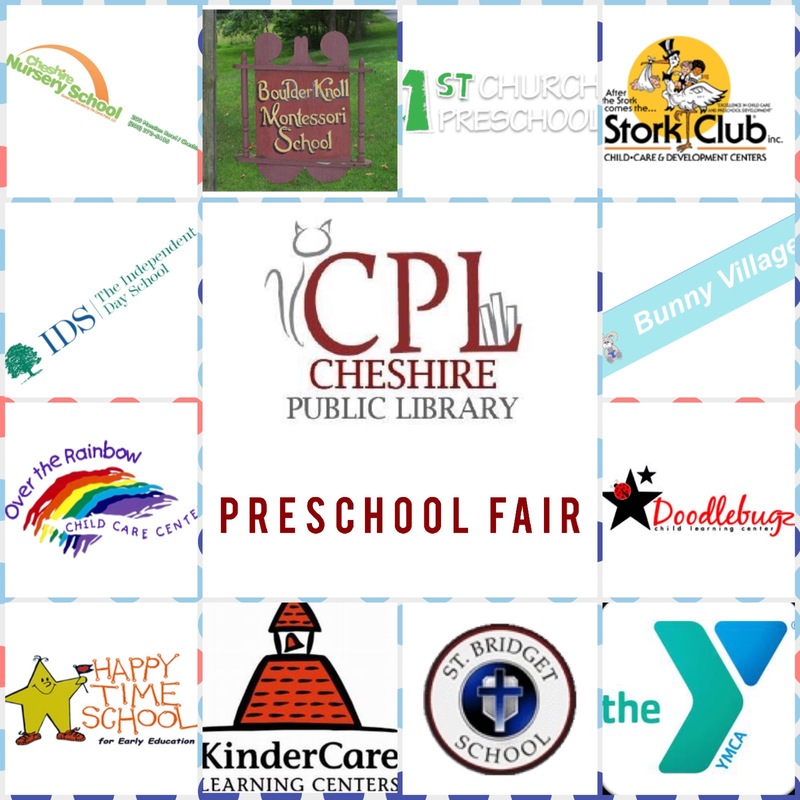 The Cheshire Public Library would like to invite you to participate in our first Preschool Fair on Saturday, February 20. In the event of bad weather, the snow date will be March 12 from 1:00-4:00 pm. This program will allow you to meet and ask questions with preschools in the Cheshire area. Our objective is to provide you support by offering a one-stop-shop to community preschools in order to navigate through endless information regarding school facilities, personnel, and educational philosophies. No registration required. Sheri Bertolini, a professional organizer, has learned that organizing doesn’t start with trips to a donation center, or by purchasing labels, containers and bins. The first step is to connect with your heart to build a home you love to spend time in, and are proud to show off. With humor and tools to implement her ideas, Sheri will show how to make decisions about what goes and what stays, give you fresh perspective and energy to reorganize your home. Please register online or call the library at (203) 272-2245 ext. 4. Tweens and teens–interested in the art of henna? As part of our South Asian Cultural Festival, learn the cultural roots and the different styles of henna from Jamilah Zebarth, of Jamilah Henna Creations, who will also demonstrate the art on you! (Henna is a plant based dye that safely stains the skin for 1-2 weeks.) Space is limited, Please register online or call the library at (203) 272-2245. Fight the February Blahs with some educational, enriching, and entertaining programs at Cheshire Library! Mark your calendar for these events, and see even more on our Event Calendar. 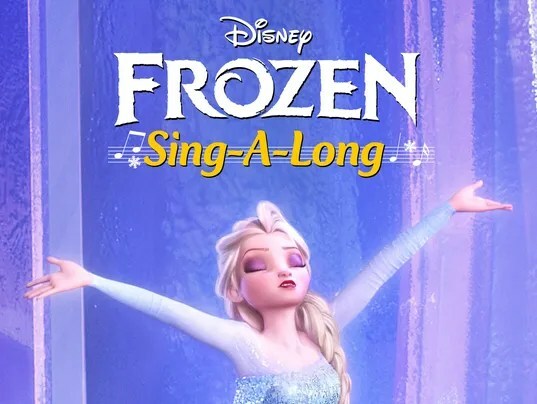 Experience FROZEN, hit musical comedy from Walt Disney Animation Studios, like never before in an all-new, full-length SING-ALONG EDITION! Follow the lyrics with a bouncing FROZEN snowflake. It’s pure enchantment — and full of fun for the whole family! All Ages Welcome. NO REGISTRATION REQUIRED. The Cheshire Cats Classics Club meets once per month on a Monday evening. The Fellowship of the Ring will be discussed at the February 2nd meeting. This workshop will introduce you to dozens of websites that can help you to research your Irish ancestors. The speaker will navigate websites and discuss the content of each one. 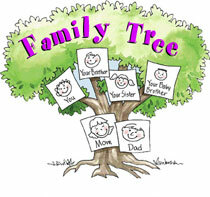 Participants will be given a handout that lists the sites that benefit the Irish family history researcher. Register on our website. Magician Chick Kelman is returning to the Cheshire Public Library to add some magic to our Bring Your Child to the Library Day celebration. Join us for an afternoon program of magical tricks that will entertain and amaze! Stop by the Children’s Room after the performance for a special prize. NO REGISTRATION REQUIRED. THE BOXTROLLS. A family event movie from the creators of Coraline and ParaNorman that introduces audiences to a new breed of family – The Boxtrolls, a community of quirky, mischievous creatures who have lovingly raised a human boy named Eggs (voiced by Isaac Hempstead Wright) in the amazing cavernous home they’ve built beneath the streets of Cheesebridge. Running Time 1 hour, 37 minutes. Rated PG. Feel free to bring your own snacks! NO REGISTRATION REQUIRED. New York Times bestselling author Jon Katz (A Dog Year, A Good Dog, Rose In a Storm) will speak about his newest book, a memoir called Saving Simon: How a Rescue Donkey Taught Me the Meaning of Compassion. Jon Katz has become well-known for rescuing “irredeemable” animals. In 2011, state police notified him of a severely neglected donkey who needed attention. It was at that time that Simon entered his life and changed it forever. Hear more about Simon’s story of healing, Mr. Katz’s writing experiences, and much more. Register on our website. Local naturalist Eric Nelson will introduce children to the anatomy, identification and bird behavior through fun hands-on activities and exercises. Children wshould wear loose clothing and sneakers. For ages 6 and up. Register on our website starting on February 1st. Join Animal Embassy on a journey through the four major tropical rainforest regions of the world! Library patrons will meet Animal Ambassadors such as a Chinchilla, a jungle Carpet python, a Red-foot tortoise, Red-eyed tree frogs, a large Green iguana or Solomon Islands monkey-tailed skink and possibly an Eclectus parrot! For ages 4 and up. Register on our website starting on February 1st. After a discussion of factors to consider when purchasing genealogy software and a review of the current Top 10 software packages, presenter Edwin Strickland will explore some of the other computer software options to aid in the recording and publication of your family data and planning further research tasks. Register on our website. Electricity + play dough = lights? Awesome! Squishy Circuits area a great introduction to the fundamentals of electronics. We will use a play dough that can conduct electricity. Once you know the basics you can plug in lights and motors to bring you already cool sculpture to new levels of awesome. Drop in anytime between 10:00 a.m. and noon. For ages 6 and up. NO REGISTRATION REQUIRED. 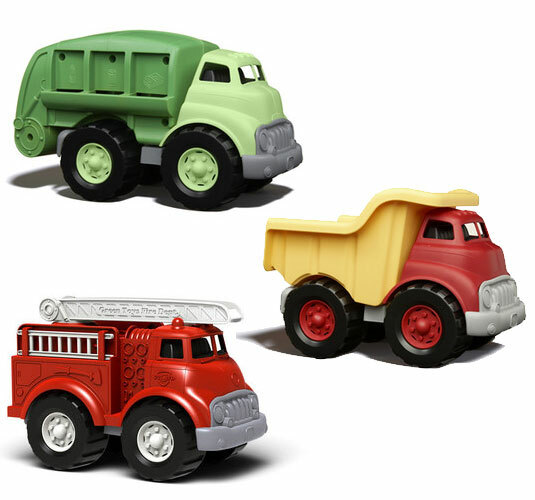 Bring your toy trucks and cars to this special event. There will be storytime followed by playtime. We will provide kiddie pools filled with sand to support play. Be sure to wear clothes you can get messy in. For ages 3-8. NO REGISTRATION REQUIRED. 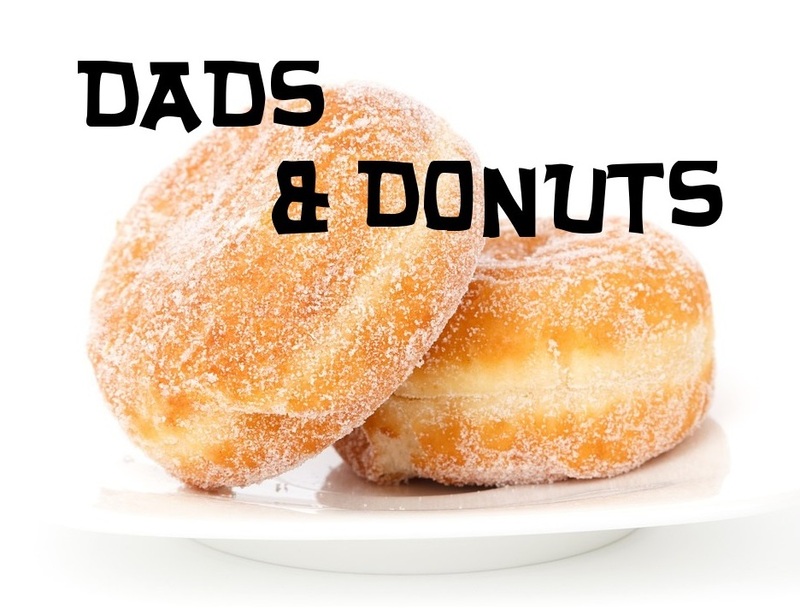 Dads & Donuts is a storytime designed especially for dads and children ages 3 and up. You don’t have to be a dad either. Moms, grandparents, or partners – everyone is welcome to attend and eat delicious donuts. Snacks will follow stories based around the theme of Animals! Enjoy stories with donuts, juice and coloring and crafts to follow. For ages 3-8. Want to learn how to download library e-books, audiobooks, movies, magazines and music to your laptop, tablet, e-reader, or smartphone? Bring your device and join us for a hands-on workshop. We’ll start with an overview of our various products and will then break into small groups with library staff, who can answer your questions about getting started. A hands-on Spanish program for toddlers, preschoolers and early elementary aged children. This bilingual storytime will be tons of fun with songs, games, activities and stories in both English and Spanish! No prior knowledge of Spanish is necessary. For ages 2 to Kindergarten. NO REGISTRATION REQUIRED. 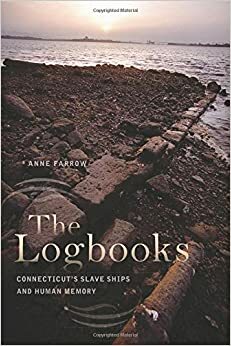 Journalist and independent historian Anne Farrow will discuss her new book The Logbooks : Connecticut’s Slave Ships and Human Memory. In 1757, a sailing ship owned by an affluent Connecticut merchant sailed from New London to the tiny island of Bence in Sierra Leone, West Africa, to take on fresh water and slaves. On board was the owner’s son, on a training voyage to learn the trade. The Logbooks explores that voyage, and two others documented by that young man, to unearth new realities of Connecticut’s slave trade and question how we could have forgotten this part of our past so completely. Seating for this event is limited. Register on our website.